Search by any keyword via the search box, filter events based on discipline and rating via their column search box, and sort events by descending or ascending order by clicking on title headers on any of the columns. Events are also organized in terms of prize purse. AM events have no purse, PRO up to $15,000, and PRO ELITE $15,000+. Purse size is a leading indicator of the caliber of paddlers that are likely attend the event. Events are organized by disciplines (fishing, yoga, race, surf, river). Events can be filtered by entering the name of the discipline in the discipline's column filter box. A search for "charity" will return all benefit-type events. Other really helpful sources for sup events include namastesup.com (yoga), paddleguru.com (races), and watermanleague.com (surf). Also, the supconnect.com/community has over 1,182 events, all submitted by users and are classified as community events. Once a community event is held repeatedly over the years and becomes a main feature in the calendar of most pro elite athletes, then we move that community event to our premium event table above. If you're an event organizer, we encourage you not only to enter your event in the community, but also reach out to us via [email protected] to get your event to be Supconnect Certified. The Supconnect Certification will give you free promotional value and help further develop your outreach to drive participation. We look forward to hearing from you! And we would love to hear your feedback on how to improve the Supconnect Calendar. 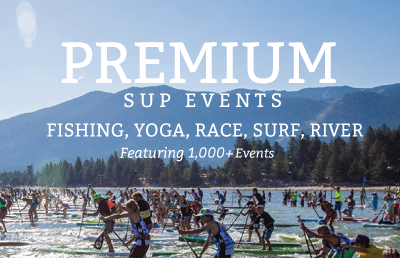 Finally, if your event is listed above in the Premium Events Calendar and we need to update or correct some of the info above, please reach out to [email protected] The goal of the Supconnect Calendar is to help grow and deepen participation in SUP, helping serve enthusiasts, event organizers, brands, and all other contributors to this great sport of ours.